North American Mountain Sheep reached the continent form Asia during the Middle-Pleistocene. 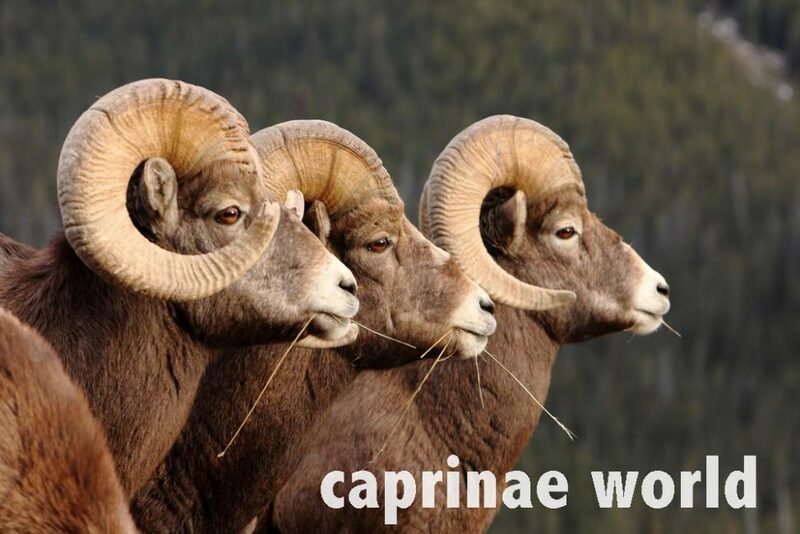 Bighorn and Dall’s Sheep probably hybridized prior to glacial maxima and during late Pleistocene in ice-free refugia. .
* California Bighorn (O. c. californiana) have been synonymized with both canadensis and nelsoni. In Canada, the Bighorn Sheep (O. c. canadensis) is distributed throughout the Rocky Mountains in Alberta and British Columbia, south from the Peace River to the Canada-USA border. Two small populations also have been introduced to central British Columbia outside their normal distribution. Longvity: Very few females live more than 15 years in the wild , but some are known to have lived up to 19 years. Very few males survive past 12 years,  although some attained 14 years in the wild . In captivity one Desert Bighorn ram died with 16 years and 8 months, and one ewe with 20 years and 7 months (Weigl 2005) . By the early 1900s, many populations had been extirpated. Populations have been reestablished in al states where they had become extinct and even introduced in areas where they did not occur historically; introductions often have been from individuals that were not of the original genetic stock. Inbreeding of different Bighorn subspecies after translocations has been a concern. After simplifying the subspecies status this is probably less of a concern today. It also occurs in the large Anza-Borrego State Park (California). Wyoming: Grand Teton, and Yellowstone NPs; Bighorn Canyon NRA. In Mexico the species is listed in Appendix II of CITES. Mexican Bighorn occur in only two protected areas in Mexico, one of which (Isla Tiburon Wildlife Reserve – in the Sea of Cortez) holds an introduced population. The putative Peninsular Bighorn is in only one protected area, Sierra de San Pedro Martir National Park, but putative Weem’s Bighorn occurs in none. A small group (25 in 1992) of Desert Bighorn (O. c. nelsoni) is held in captivity at Hermosillo. Hunting in Canada: Many populations can be hunted under license. Harvesting both adult males and adult females may be permitted in some populations. Hunting quotas are determined each year, and in general regulations are strictly enforced. Alberta: Between 200 to 250 male and 150 to 200 female Rocky Mountain Bighorns are harvested annually in this province. Opportunities to watch Bighorns in North America are numerous (see the subspecies sections). Bighorns are also very adaptable to the presence of humans.